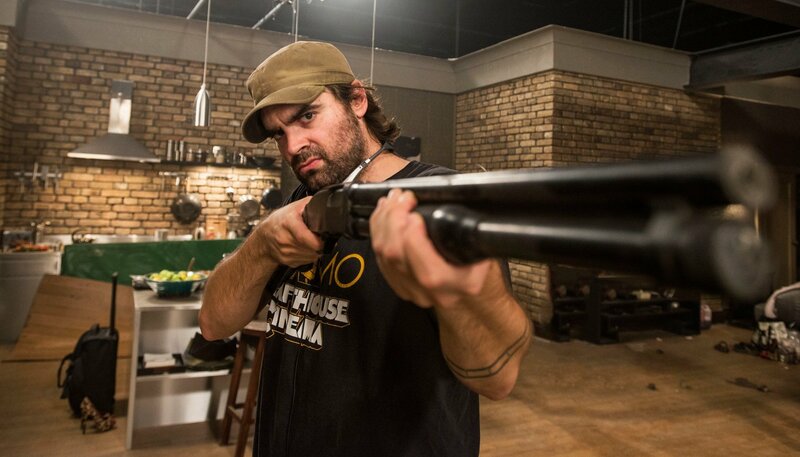 We had the distinct honor to sit down with filmmaker Joe Lynch to discuss his new film ‘Everly‘, which is an EXCELLENT movie. We discuss how he made the film, his casting decisions, some of the more difficult things to shoot, and some of his influences. We also discuss some of his favorite scenes from film, and much much more. Lynch can be seen on the hit series ‘Holliston‘ with his friend Adam Green. Lynch also directed ‘Wrong Turn 2‘, a segment in ‘Chillermama‘, ‘Knights of Badassdom‘, and ‘Everly‘. It was a fun-as-hell interview. Enjoy. This entry was posted on Friday, September 26th, 2014 at 11:02 am	and is filed under Events, Film, News. You can follow any responses to this entry through the RSS 2.0 feed. You can skip to the end and leave a response. Pinging is currently not allowed. « Interview with Justin Long at Fantastic Fest 2014! !